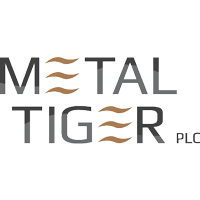 The trading price for Metal Tiger PLC EPIC code: LON:MTR has moved up 5.08% or 0.07 points in today’s trading session so far. Traders have stayed positive during the trading session. The periods high has reached 1.55 and hitting a low of 1.41. Volume total for shares traded at this point reached 852,034 while the daily average number of shares exchanged is 3,441,299. The 52 week high is 3.44 equating to 1.96 points difference from the previous days close and putting the 52 week low at 1.08 making a difference of 0.4 points. Metal Tiger PLC now has a 20 SMA at 1.36 and also a 50 day simple moving average now of 1.37. This puts the market cap at £24.05m at the time of this report. The share price is in Great British pence. Mcap is measured in GBP. This article was written with the last trade for Metal Tiger PLC being recorded at Tuesday, March 19, 2019 at 12:10:01 PM GMT with the stock price trading at 1.55 GBX. Shares of Anglo American plc found using EPIC: LON:AAL has risen 1.4% or 27.8 points throughout the session so far. Investors have so far held a positive outlook during the trading session. The high for the period has peaked at 2009 and hitting a low of 1982.2. The amount of shares exchanged has so far reached 1,110,496 while the daily average number of shares exchanged is 4,253,975. The 52 week high price for the shares is 2078.5 some 99.3 points different to the previous business close and a 52 week low sitting at 1433.64 making a difference of 545.56 points. Anglo American plc now has a 20 SMA of 2024.49 and now the 50 day MA at 1944.39. The market capitalisation is now £28,196.82m at the time of this report. All share prices mentioned for this stock are traded in GBX. Mcap is measured in GBP. This article was written with the last trade for Anglo American plc being recorded at Tuesday, March 19, 2019 at 12:17:37 PM GMT with the stock price trading at 2007 GBX. Shares of Antofagasta plc with ticker code: LON:ANTO has stepped up 3.17% or 29.8 points during the course of today’s session so far. Market buyers have stayed positive throughout the session. The periods high figure was 985.2 dropping as low as 951.4. The number of shares traded by this point in time totalled 775,720 with the daily average traded share volume around 2,396,710. A 52 week high for the stock is 1171.5 equating to 231.9 points difference from the previous close and the 52 week low at 713.2 which is a variance of 226.4 points. Antofagasta plc has a 20 day moving average of 949.62 and a 50 day moving average of 894.47. This puts the market cap at £9,549.01m at the time of this report. The currency for this stock is Great British pence.Market cap is measured in GBP. This article was written with the last trade for Antofagasta plc being recorded at Tuesday, March 19, 2019 at 12:17:14 PM GMT with the stock price trading at 969.4 GBX. The share price for Be Heard Group PLC with company EPIC: LON:BHRD has gained 4.55% or 0.05 points throughout the session so far. Buyers have remained positive during the trading session. The periods high has already touched 1.15 meanwhile the session low reached 1.1. The number of shares traded by this point in time totalled 1,289,745 with the daily average traded share volume around 1,962,446. The stock 52 week high is 2.42 some 1.32 points in difference on the previous days close and a 52 week low being 0.91 which is a difference of 0.19 points. Be Heard Group PLC has a 20 day moving average of 1.04 and a 50 day moving average at 1.11. This puts the market capitalisation now at £11.97m at the time of this report. The share price is in Great British pence. Mcap is measured in GBP. This article was written with the last trade for Be Heard Group PLC being recorded at Tuesday, March 19, 2019 at 11:18:25 AM GMT with the stock price trading at 1.15 GBX. Stock in BP plc with ticker code: LON:BP has gained 1.1% or 6.1 points during the course of today’s session so far. Traders have stayed positive throughout the session. The periods high figure was 561.3 meanwhile the session low reached 552.3. Volume total for shares traded at this point reached 6,375,957 while the daily average number of shares exchanged is 39,167,881. The 52 week high price for the shares is 603.6 around 49.6 points difference from the previous close and the 52 week low at 456.45 a difference of some 97.55 points. BP plc has a 20 day moving average of 541.62 and a 50 day moving average now of 535.16. The market cap now stands at £113,493.73m at the time of this report. The share price is in Great British pence. Mcap is measured in GBP. This article was written with the last trade for BP plc being recorded at Tuesday, March 19, 2019 at 12:17:38 PM GMT with the stock price trading at 560.1 GBX. Shares of Burberry Group plc with EPIC code: LON:BRBY has moved up 1.53% or 28.5 points during the course of today’s session so far. Investors have remained optimistic throughout the trading session. The periods high has reached 1908.5 while the low for the session was 1868. The number of shares traded by this point in time totalled 145,419 whilst the average number of shares exchanged is 1,452,153. The 52 week high for the share price is 2338 about 473.5 points in difference to the previous days close of business and a 52 week low sitting at 1611 a difference of some 253.5 points. Burberry Group plc now has a 20 moving average of 1924.63 and the 50 day simple moving average now of 1878.07. The current market capitalisation is £7,792.65m at the time of this report. The currency for this stock is Great British pence.Market cap is measured in GBP. This article was written with the last trade for Burberry Group plc being recorded at Tuesday, March 19, 2019 at 12:16:14 PM GMT with the stock price trading at 1893 GBX. Click AAL ANTO BHRD BP BRBY MTR for the full archive.